Janina Casey is a New York-based financial professional with over 15 years of experience. She is currently involved in research and equity sales. An active participant in community-based programs, Janina Casey has been supporting fundraisers for Urban Tech, a non-profit organization in which she is a board member. Founded in 1995, Urban Tech is a social corporation with a mission of revamping the education scene through several strategies which include digital storytelling, critical thinking, and social-emotional learning. 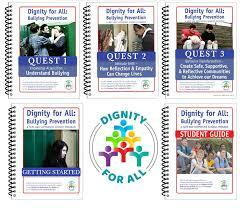 The organization hosts several programs that aim to improve the educational experience, among which is Dignity for All (DFA), a bullying prevention program. DFA is a part of the Safe and Supportive Schools program aims to build a more compassionate society. The program utilizes storytelling, role-playing, and even popular culture to instigate a collaborative effort towards breaking down the issues that accompany each step of the bullying cycle. DFA helps instill the necessary skills to sustain a safe and supportive culture in schools. 1. Knowledge acquisition - this is where students are made to understand the foundational elements of bullying, including the roles in the bullying cycle. 2. Attitude shift - during this quest, students are required to critically reflect on their own belief systems and their essential needs. 3. Behavior transformation - after a series of theoretical activities, students complete tasks that entail practical application of what has been learned thus far.